Margate Condo - Oceanview Property 4BR/3BA - 24th Floor! 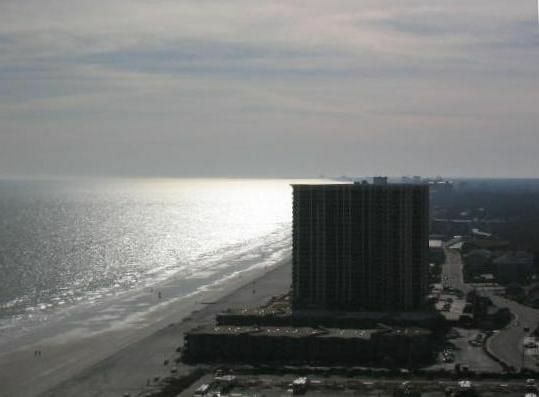 Located in the prestigious Kingston Plantation, The Margate Tower is one of Myrtle Beach's finest properties. This 4 bedroom, 3 bath condominium is almost 3000 square feet with views of the ocean and the plantation from the 24th floor. There are swimming pools, hot tubs, walking trails, restaurants and many more amenities available on the plantation. This unit is a professionally decorated, privately owned second home. The owners will only rent to select clients. This unit is a non-smoking unit! NO EXCEPTIONS!! The owners enjoy having respectful renters that might encourage future repeated rentals. This unit is beautifully decorated and all renters are encouraged to look at the photos to fully appreciate it's detail and amenities. Families with small children should consider that this unit was not furnished or decorated with child safety in mind. ALL potential renters should determine if there is the potential for accidents or damage prior to renting! Children are welcome with responsible parents who do not leave them unattended. This unit is located on the 24th floor and safety is a concern for our unit as well as the families who stay there. The unit itself has a full kitchen, mud room and private entrance and wrap-around balcony overlooking the plantation and Atlantic Ocean. The balcony can be accessed by one bedroom and the main living area. The master bedroom and bath are very spacious with a private balcony. The master bath has a walk-in closet, separate shower and Jacuzzi tub. All bedrooms are furnished with televisions and some with DVD players as well. One bedroom is furnished with two twin beds, which is perfect for children and there is not an entry to a balcony from this room. This is recommended for small children. The beds will come together to provide a King Bed in this room if needed. A bed bridge and linens are provided. Some of the televisions are equipped with front adapters for game playing. Linens are provided in the bathroom closets and a washer and dryer is available for your convenience. The owners do request the mud room to be used for entry to and from the pool, beach and golf courses. This helps us prevent damage to the carpets and furniture. There is 24 hour security privacy in this elegant beach property. A parking garage adjacent to the building is available for parking. The Margate Tower has it's own private pool and hot tub for renters as well as owners and the spacious pool/lounge area at the Embassy Suites Hotel offers, dining, entertainment and a lovely ocean-side lounge area as well. Please feel free to contact Jim if you would like to discuss renting this unit. We promise, you will be back! This unit was fantastic. We did a quick trip from NY and it was wonderful. The owner was very accommodating. Our family vacation spent at Margate 2409 was a wonderful stay! All of the comforts of home...and more...are available at this condo. Plenty of room to spread out & relax. The condo was very clean & well-kept ...along with the entire complex, pool area, beach & Kingston Plantation community. The property owner was quick to reply for any questions we had before & during our stay. If I had to come up with at least one con about this property...maybe more comfortable pillows on the beds, but certainly not a deal-breaker to not want to rent again. We enjoyed our stay & would come back again! Loved this place the minute I opened to door. We had all of our kids and grandchild with us and had plenty of room. The place was clean and beautifully decorated. The owner was extremely nice and helpful when we arrived. Would love to stay here again in the future. Very nice four bedroom property on the ocean. Very nicely maintained property. The owner was quick to respond to any of our inquiries! While not strictly ocean front, you can see the ocean from the balcony off the 2nd bedroom and from the window of another bedroom. Great interior decorating. Might not be a good choice for little ones with all the nic nacs, but perfect for our group. Love the Margate with all the resort amenities and being right on the beach! Thank you for allowing us use of your home this very enjoyable week! That stay was great.Its a very nice place.acually the nicest place we've ever stayed in at Myrtle Beach and we look forward to staying here many more times. The property was beautiful!! We loved the condo, it was very spacious and decorated beautifully. The location was perfect we were close to everything. We will be back! !